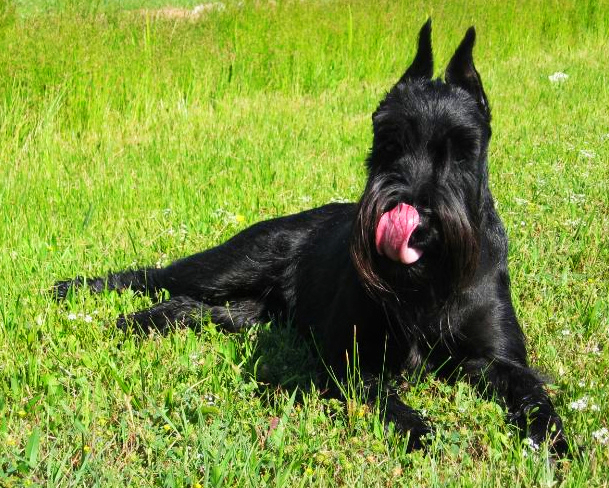 This breed is the “father” of both the Miniature and Giant Schnauzer. They are all very similar. Sort of reminds me of the choice in a fast food restaurant: small, medium or super size! One gets the same product but a larger size. In this case, different sizes of a breed of dog with similar characteristics! The breed was used in Germany as a rat hunter. Look at the strong jaw and solid appearance of the Standard Schnauzer. The breed is a quick, agile dog; hence an excellent rodent hunter. In the U.S. the breed is mainly serves as a friendly family pet. They are good with children and are not large with the majority around 22-25 pounds. The Standard Schnauzer does well in apartment type settings. As long as you exercise the dog daily to keep its weight under control the breed is adaptable to many conditions. The unneutered male Standard Schnauzer tends to be a bit aggressive to other males. The breed has a lot of guts not putting up with guff from anyone! It is very stoic and brave! They will not back down! The Giant Schnauzer has lots of medical issues. 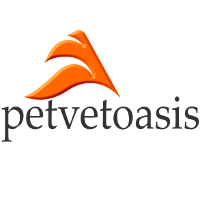 They are one of the top dogs that get bladder stones. This is correctable with surgery and diet. They are prone to endocrine diseases such as Cushing’s disease. It also is prone to skin disorders. The Standard Schnauzer’s dental health is always improved by sticking to hard food and not feeding it canned. The latter not only contributes to obesity but accelerates the deposition of plaque leading to periodontal and dental disease. The Standard Schnauzer is not as common as the Miniature Schnauzer but you will not be disappointed by the moxie the Standard Schnauzer shows plus its love for life! Learn more about the Standard Schnauzer at Animal Planet’s® Dog Breed Selector.